Amsterdam is one of the most popular European cities known for its buzzing nightlife and all of its classy heritage. It’s a city you can go to regardless of whether you appreciate high art and culture, or if you’re just looking to party and have fun. It has been one of the artistic capitals of the world since the 17th century and as such it has a variety of Museums all concentrated in a single district, featuring works from acclaimed and iconic artists such as Van Gogh, Vermeer, and Rembrandt. If you want to stay at a Boutique hotel in Amsterdam instead of a stuffy luxury hotel, check out this list for some great recommendations. 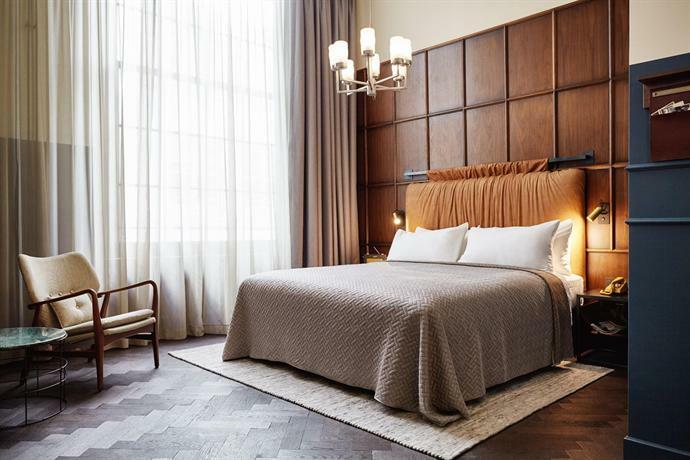 The Toren is a nice boutique hotel located on the very edge of the Jordaan street, an area that is famous for all its charming roadside cafes and boutique shopping outlets. The immediate vicinity of this hotel is also deeply picturesque, perfect for Instagram, as it’s located on the central canal belt of the city. One of the most important shopping centers of Amsterdam, Negen Straatjes, is just around the block, and you can easily walk over to the other prime tourist attractions such as the Dam and Royal Palace. The interiors of the hotel have been designed in a rich and quirky style with deep purple furnitures, with an intricately carved wooden aesthetic, all set aglow to the radiance of the soft chandeliers tinkling above. 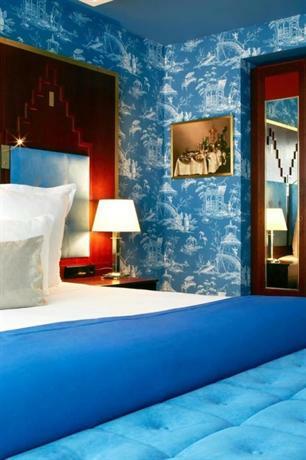 Even the wallpaper bears the typical Toren eccentricity, as it features crocodile-skin and zinc details. The ceilings are also painted and vibrant, and as such the entire hotel exudes a youthful and vibrant charm. The staff in the hotel is also really helpful and they’re usually informed about their city very well, such that they’re always willing to offer helpful advise about the fine-dinging restaurants in the area, transportation, etc. In true boutique style, all the rooms of the hotel are unique so that it all feels very personal. 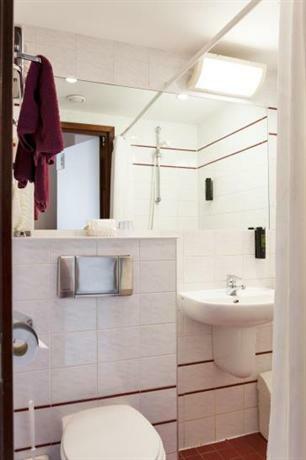 While some of the rooms are quite small, others also feature a jacuzzi. The Toren comprises two separate buildings, and while the second one is also brilliant, it features more subtle details so you can decide which one you personally prefer. The Waldorf Astoria is one of the most well known hotel franchise around the world, and it has quite the reputation as a luxurious five star hotel. However, despite its acclaim, it embodies a boutique hotel charm, whimsical yet grand. 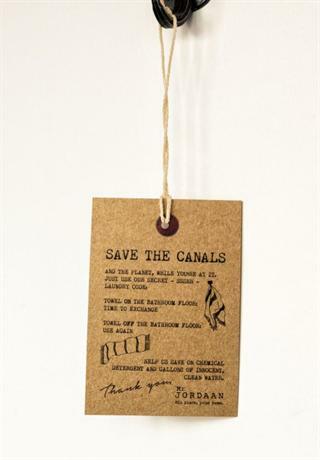 This particular hotel is juxtaposed between a beautiful canal in front of the hotel and a lush green garden out back. 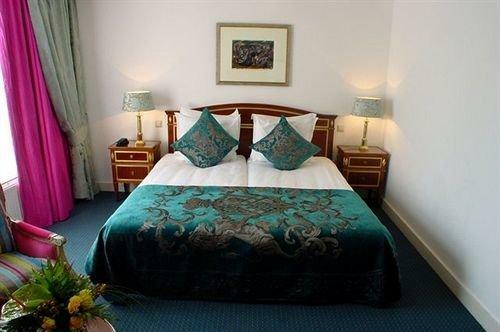 The hotel is located in such a prime area that whatever you need in the city will be within walking distance. The hotel has been designed in a manner that is faithful to the Rococo period of architecture and aesthetics, with grand intricate carved detailing in the stairways and the furnitures. The stairway itself rises out of marble and stucco. The ceilings have been painted in 17th century fresco, and that gives the hotel a particularly antique feel. Despite the fact that the hotel has been decked out with all necessary modern amenities, none of that intrudes upon the charming old-world aesthetic of the hotel. One of the whimsical aspects of the hotel is the fact that even though they mix in classic architecture with modern details such as blue Murano lamps, it all works well together. Nothing feels either out of place or desperate. 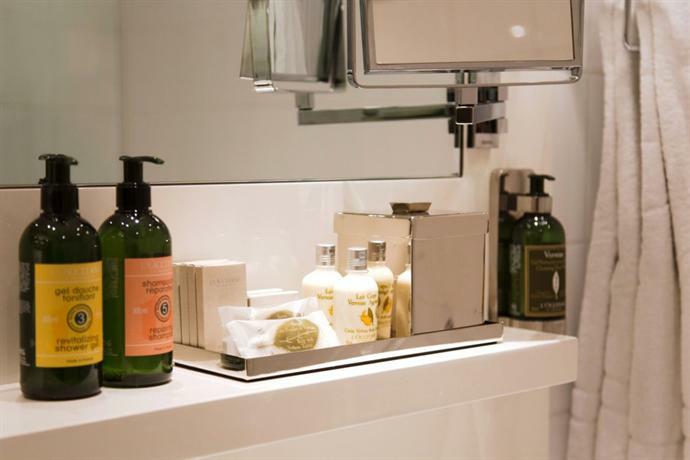 The rooms in the hotel have been designed in grey, blue, and cream shades, and despite the availability of modern amenities such as a Nespresso machine, the rooms feel simple and lived-in. 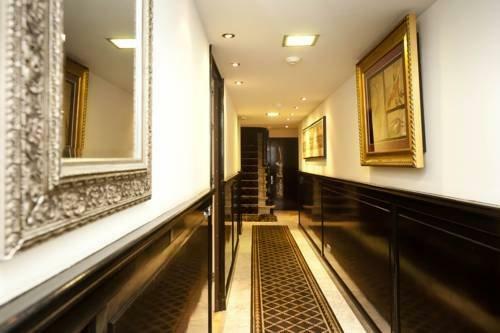 The Ambassade is a boutique hotel situated on a grand and beautiful stretch of one of the most famous canals in all of Amsterdam, and you can reach Rijksmuseum within just 10 to 15 minutes of walking. This is a truly boutique hotel with a charming labyrinthine structure. The entire hotel comprises ten different houses placed alongside each other, eight of them are along the Herengracht canal, while the other two are along Singel. You can thread your way through the different houses via tunnels and intricate stairways, through canals, alleys, and balconies. It’s all very dizzying but also thrilling. Several of the rooms face out towards the canals, while others face inwards. The interiors of the hotel are just as impressive as the exterior structure. The walls are lined with random works of art from Dutch artists, the impressionists, and other periods of art. Sometimes it seems as if the wall has been papered with artworks alone, and sometimes it feels like the artworks have been showcased with little understanding of their artistic coherence or value. Yet, underneath this assumed chaos lies a mark of deep nuance and thought. This boutique hotel is chaotic, but it’s purposefully chaotic, it’s thrillingly chaotic, so much so that an act as simple as exploring the hotel can constitute a form of adventure. All the rooms are unique and feature antique furnitures along with vibrant fabrics and details. 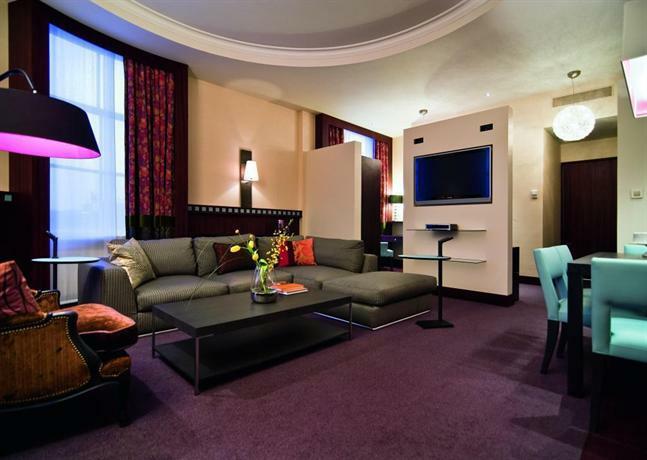 The Dutch Masters Short Stay Apartments, as the name suggests, are a series of boutique apartments ideal for people who are vacationing in Amsterdam for short periods of time. They’re Apartments so they have a more lived-in and homely vibe rather than the cold aesthetic of hotels. It’s also located very well, smack right in the middle of the canal district. Rijksmuseum is a very short walk away from the hotel, and if you’re into art and culture the Spiegelkwartier arts district is in the immediate neighborhood of the apartments. The truly unique and eccentric aspect of these apartments is that each of them have been decorated in the aesthetic style of one great Dutch artist. For example, one of the apartments has been designed in a style reminiscent of the works of Rembrandt, while another is inspired by Vermeer, or Van Gogh. Even the modern Dutch artists feature in the apartments, for example Herman Brood, who is a Dutch rockstar and painter. The hotel has been designed in an antique style with period furniture, and some of the apartments even lead directly into the garden. The apartments feature small bedrooms, however the living rooms and the kitchen have been given ample space. This makes it ideal for a number of reasons. The art and culture of the room is particularly ideal for those who appreciate art, as they get the pleasure of staying in a room embodying the spirit of an artist, some of them even featuring original works. In addition to that, because of the presence of a living room and kitchen, you get the sense that you’re truly living in a home. 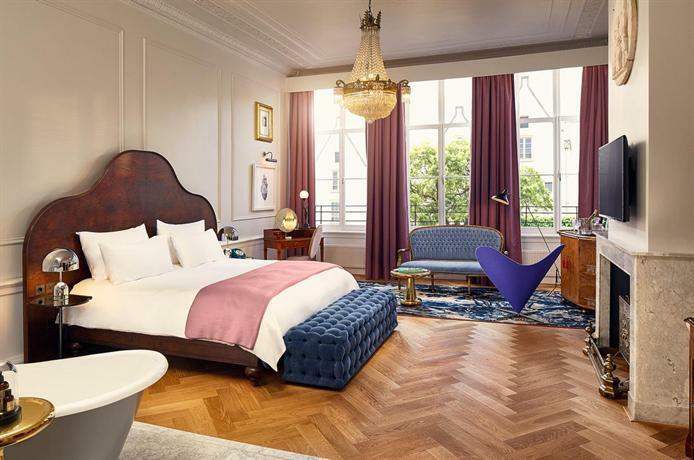 The Hotel Estherea is a boutique hotel located in one of Amsterdam’s most fashionable shopping districts replete with charming boutique cafes and stores. The canal itself is called Negen Straatjes, which means ‘Nine Little Streets’. The hotel has been designed in a manner such that every wall, every part of the hotel, should feel unique and individual. The wallpapers on all the walls are completely unique, some of them featuring cherry blossoms, while some feature orchids. The hotel comprises three canal houses, and it’s a family-run house so you can expect to be treated with a personal and friendly touch. The service of the hotel has an easy and knowing quality that would either warm you or annoy you, depending on your personality. Among the three buildings, there are 90 rooms over all, each with a slightly different aesthetic. Some of them have been decorated in blue and white, while some favor a brown aesthetic. 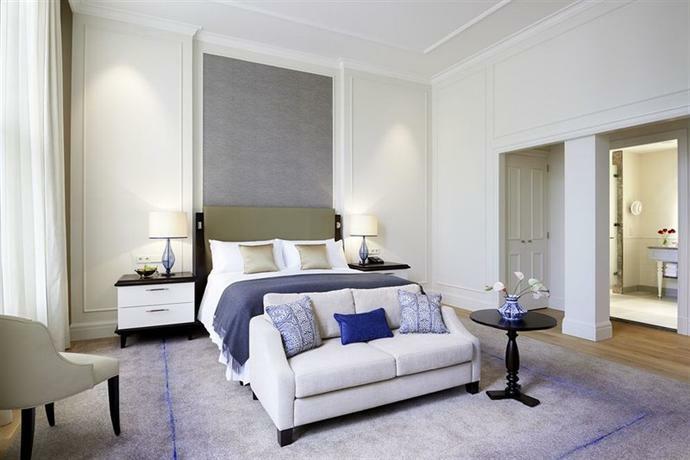 However, one thing that all rooms have in common is that they're all comfortable and cosy, a feeling that is enhanced with the use of intricate fabrics and lots of cushioning and pillows. The Hoxton is located on the prime canal of Herengracht, which is the most desirable and attractive spot in all of Amsterdam full of boutique shopping outlets and charming cafes. This is also one of the most tourist-heavy spots in the city because of its ideal location, within walking distance of all the most important landmarks such as the Anne Frank House and the Van Gogh museum. If you’d like to travel to places further off, you can walk over to the Central Station which is just 20 minutes away. This boutique hotel has been designed in a contemporary style, replete with dark wood and autumn shades. Some of the eccentric details of the interior are the vintage lighting used, and the danish furniture. The Conservatorium hotel is ideally placed between the important landmarks of the Van Gogh Museum and the Stedelijk Museum on one side, and prime shopping outlets such as Armani and Gucci on the other. As such, this is ideal for travelers who prefer shopping and for travelers who prefer just exploring and sightseeing. The hotel has been founded over a 19th century bank establishment, however it’s now a really hip and trendy place with stained glass windows and other details that are both contemporary and antique. The primary color palette in the hotel is that of earthy shades such as brown, beige, and cream. 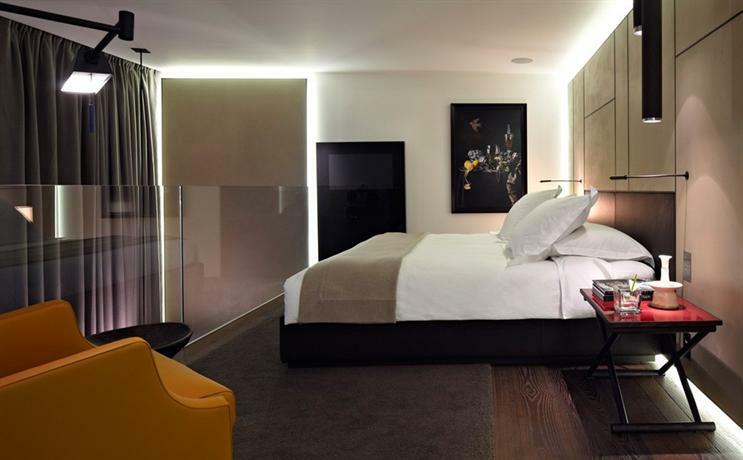 The Dylan is one of the most central boutique hotels in Amsterdam, located in the Nine Streets area, surrounded by boutique shopping outlets and cafes. 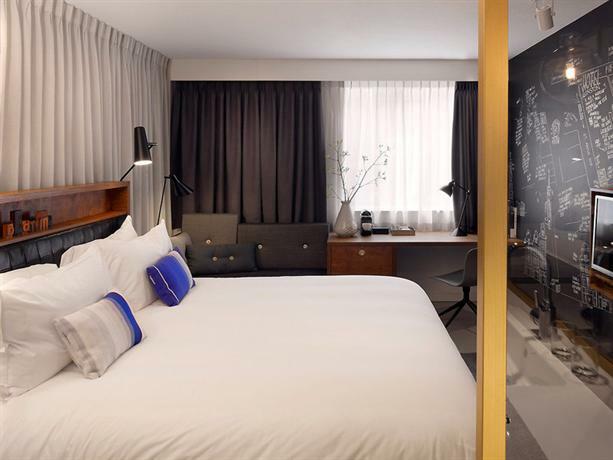 The Dylan has been established over a structure that used to be a charitable organization, however it got turned around during the turn of the century and reincarnated as a boutique hotel. The interiors of the hotel feature details from its 17th century heritage, along with some contemporary aesthetic touches. There are two buildings in the hotel, and both of them feature rooms that look out at the canal. As such, the hotel is stylish, well located, and has a grand view! This particular hotel has a deeply curious history, It used to be a monastery back in the late 16th century and had a reputation for hosting royal guests. However, it got transformed into an Admiralty Building soon. Only recently has the building come alive as a part of the Sofitel hotel chain. The hotel, when it was first established, bore an Art Deco architectural aesthetic, as was customary at the time. However, recent upgrades have made it a bit warmer. As such, this is very much an Art Deco hotel with contemporary leanings. This hotel is named after the district it’s located on, that is, Jordaan district. This happens to be the most artistic district in all of Amsterdam, with the Anne Frank House in the same neighborhood. As such, this boutique hotel is perfect for those looking for those who prefer art and history. The hotel is made of two canal houses side-by-side, and they have been done up to look like a typical boutique hotel with brick walls, and retro chairs, with a warm color palette of olive, beige, and brown. 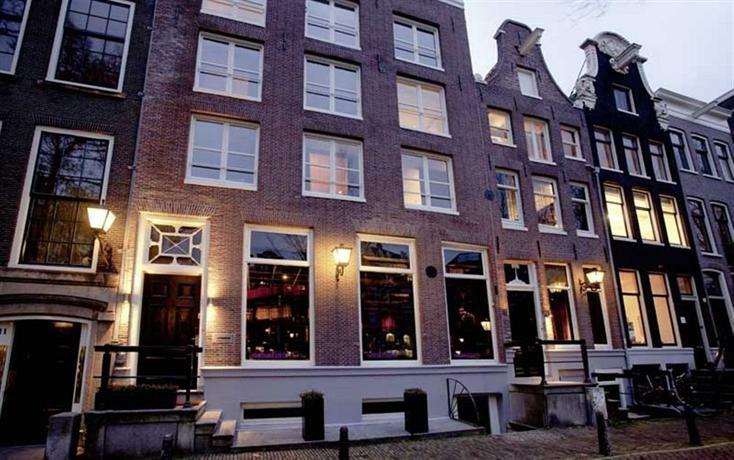 The Sebastians boutique hotel is located just next to the prime art district of Amsterdam — Jordaan, the area that people come to when they want to check out some hip cafes, bars, and boutiques. The interior of the hotel is brooding and generally dark with some truly eccentric wall art that is sure to appeal to you if you like your aesthetics to be just a little off-kilter. However, the dark aesthetic is set off against bright laminate floors, and that adds some much needed contrast. There are a few small rooms, however the rooms are, in general, quite spacious and allow plenty of natural light. 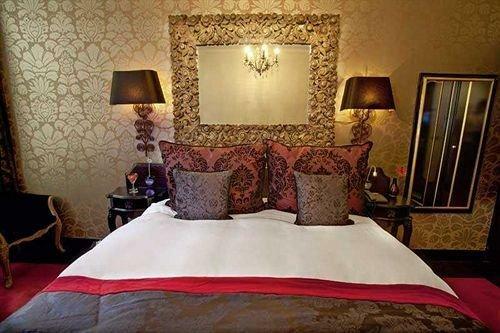 The De L’europe boutique hotel is located on the very banks of the Amstel river, and as such you can expect a beautiful view, and you also have a lovely setting for when you step out of your hotel. The major shopping districts are a few minutes away on foot, however there is a street full of flower shops lying just across the road. The color palette used by the hotel consists of some odd colors such as icy blue, scarlet, and ochre. However, the hotel has been designed in such a way that these colors complement each other and give the hotel a wacky boutique vibe. This boutique hotel is made of 25 different buildings all lined up in a single canal block. It stretches all the way from Prinsengracht canal to Keizersgracht canal. The hotel also comes with a deep sense of history and heritage, having been built by merchants in the 17th century. You have to navigate through the hotel via a maze of corridors, alleys, and stairways, however it’s a thrilling hotel to be in. The INK hotel is one of the most centrally located hotels in all of Amsterdam, located right beside the infamous red-light district. The building that houses this boutique hotel used to be a newspaper printing house, and the hotel has taken care to let that sense of history and heritage shine through. Some of the wallpapers look like old newspapers, you can often see typewriters lying around ornamentally, and the general aesthetic of the hotel features a lot of brass fixtures. 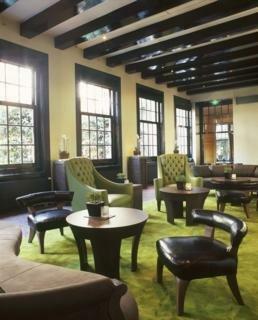 The Neighbour's Magnolia is a boutique hotel located just behind Concertgebouw. The hotel comprises two townhouses, both of which have been designed in a manner so as to make it seem homely yet chic and hip. The prominent colors used in the hotel are grey, mustard yellow, and mauve. One of the most quirky details about this hotel is the fact that it comes with a hotel dog named Bleecker, and the guests are encouraged to take him for a walk in the adjoining park if they so wish.